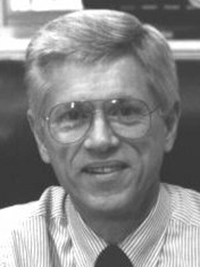 Blackmon-Moody Outstanding Professor, University of Alabama (1999). Burnum Distinguished Faculty Award (1989). Blue and Gray Diplomacy: A History of Union and Confederate Foreign Relations, a volume in the “Littlefield History of the Civil War” series (Chapel Hill, NC: The University of North Carolina Press, 2010). The Bay of Pigs, a volume in the “Pivotal Moments in American History” series (New York: Oxford University Press, 2008). Crucible of Power: A History of American Foreign Relations since 1945 (Lanham, MD: Rowman and Littlefield, 2009). Crucible of Power: A History of American Foreign Relations to 1913, revised edition (Lanham, MD: Rowman and Littlefield, 2009). Crucible of Power: A History of American Foreign Relations from 1897, revised ed. (Lanham, MD: Rowman and Littlefield, 2008). Death of a Generation: How the Assassinations of Diem and JFK Prolonged the Vietnam War(New York: Oxford University Press, 2003). One of Choice Magazine’s “Outstanding Academic Books” for 2003. Crucible of Power: A History of American Foreign Relations to 1913 (Lanham, MD: Rowman and Littlefield, 2002). “Cinqué of the Amistad a Slave Trader? Perpetuating a Myth.” Journal of American History 87 (2000): 923-939. Abraham Lincoln and a New Birth of Freedom: The Union and Slavery in the Diplomacy of the Civil War (Lincoln, NB: University of Nebraska Press, 1999). With Donald A. Rakestraw, Prologue to Manifest Destiny: Anglo-American Relations in the 1840s (Wilmington, DE: SR Books, 1997). One of Choice Magazine’s “Outstanding Academic Books” for 1997. Union in Peril: The Crisis over British Intervention in the Civil War (Chapel Hill, NC: The University of North Carolina Press, 1992). Winner of the Phi Alpha Theta Book Award. With Randall B. Woods, Dawning of the Cold War: The United States’ Quest for Order (Athens, GA: University of Georgia Press, 1991). “A New Kind of War”: America’s Global Strategy and the Truman Doctrine in Greece (New York: Oxford University Press, 1989). Editor, The Foreign and Domestic Dimensions of Modern Warfare: Vietnam, Central America, and Nuclear Strategy (Tuscaloosa, AL: University of Alabama Press, 1988). Mutiny on the Amistad: The Saga of a Slave Revolt and Its Impact on American Abolition, Law, and Diplomacy (New York: Oxford University Press, 1987, revised, 1997). Also, used by Steven Spielberg as a key source for his film Amistad (1997). To the Webster-Ashburton Treaty: A Study in Anglo-American Relations, 1783-1843 (Chapel Hill, NC: The University of North Carolina Press, 1977).